Challenging the Corporate Media Blockade! To watch shows click the thumbnails. These versions are usually longer than the 58 min broadcast versions. Pirate TV needs your help! Celebrating 20 years on the air! German sociologist Oliver Nachtwey and German political scientist Niko Switek have a conversation on how neoliberalism is causing a social crisis in Germany and the rest of Europe. Upward social mobility represented a core promise of life under the “old” West German welfare state, in which millions of skilled workers upgraded their Volkswagens to Audis, bought their first homes, and sent their children to university. Oliver Nachtwey analyses the reasons for the political and social rupture in postwar German society and investigates the rise in popularity of right-wing populism throughout Europe. Oliver Nachtwey is Associate Professor of Social Structure Analysis at the University of Basel, and a fellow at the Institute for Social Research in Frankfurt. Niko Switek is DAAD Visiting Assistant Professor for German Studies at the Henry M. Jackson School for International Studies and the Department of Political Science at the University of Washington. 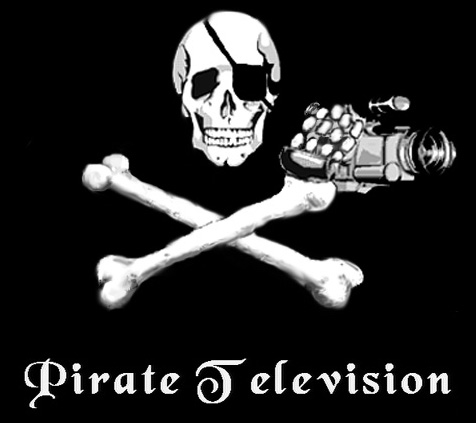 Watch Pirate Television in King County channel 29/77 Mondays 8-9pm, Thurs. 1-2pm, & Sat. morning 12-1am PST or streaming live on Seattle Community Media. Pirate TV runs on numerous other other public access stations throughout the country. Pirate TV also broadcasts on Free Speech TV: Details listed in FStv Schedule. Check the FStv website for show times. Longtime Kennedy assassination researcher Brian Snoddy connects the dots regarding the cast of characters involved in the plot to kill JFK. Examining the evidence of who was on the various shooter teams and their connections to various mob organizations, government agencies, deep state actors, and high level public and military officials, he sheds light on who would have a motive and how they were able they to take out the President of the United States and get away with it. Christopher Bollyn, author of Solving 9/11, presented a lecture on his latest book, The War on Terror: The Plot to Rule the Middle East. 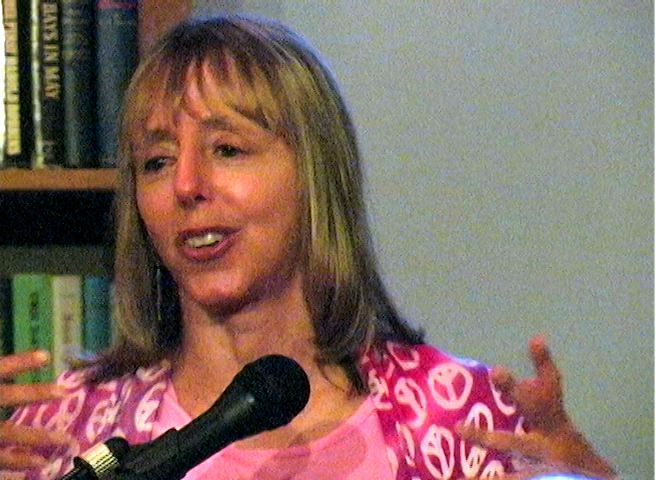 Bollyn discussed the dual deception of 9/11 and the War on Terror and explained the hidden strategic plan behind America's longest and costliest war. served as a Policy analyst in the office of Governmental Affairs for the Tulalip Tribe from 2005-2012. She has testified many times in DC and is outspoken on mental health issues. She also spoke at a huge Native women led NO DAPL demonstration in DC and is passionate about climate issues. The League of Women Voters has a long history of activism in relation to the Columbia River Treaty. On April 2nd, the League hosted this informative forum on current issues. This 60 year international treaty between the U.S. and Canada, signed in 1964, will be open for modernization in 2024. Representatives of both countries, specifically the two Entities charged with carrying out the 1964 treaty, have developed recommendations for the future of the Columbia River Treaty after 2024. Those are now in the hands of the government negotiators. How will climate change effect the hydrology of the Columbia river basin, efforts to restore salmon runs and habitat, and who will determine how increasingly scarce water resources will be allocated? This forum is a discussion of the treaty review process, the key interests in the U.S. and Canada, the outstanding issues and the recommendations. The panelists are Scott Simms (Secretary to the U.S. Entity for the Columbia River Treaty), Paul Lumley (Executive Director, Columbia River Inter-Tribal Fish Commission) and Rachael Paschal Osborn, (public interest water lawyer, Center for Environmental Law & Policy). The March 5th forum on human trafficking discussed the scope of the problem, what is being done and what needs to be done. If you think it does not happen in your neighborhood and that it does not happen to our children, you are wrong. Amy Goodman and Denis Moynihan gave this talk in front of a packed Seattle Town Hall on October 26th as part of their hundred city tour to give expanded election coverage and pull back the veil of corporate media reporting. Amy Goodman and Denis Moynihan are co/authors of The Silenced Majority- Stories of Uprisings, Occupations, Resistance, and Hope. Connie Moffit, worked in nonprofit management in the US and Canada for 20 years, including People for Puget Sound and Seeds of Compassion in Seattle. This longer version contains the complete talk by Eric Weiner and talks by Tom Barefoot and Connie Moffit that were not included in the broadcast version. FBI was issued a People's Subpoena in Seattle 12/2 to call them to answer for their ...illegal raids and grand jury ETC. STOP FBI harassment of activists! Seattle hosted the premiere event: Friends of Sabeel – Puget Sound, a nonprofit working with and on behalf of Palestinians to promote justice through nonviolence in the Holy Land . Featuring internationally-acclaimed speakers and a vibrant array of activist voices, this conference explores the situation in Israel and Palestine today, the experience of occupation, the role of U.S. policy and nonviolent strategies for peace. Jeff Halper: Apartheid or Confederation? How have the facts on the ground created by Israeli government policies led to apartheid? What are the ways out of this? In addition to the one-state and two-state possibilities, there are other configurations we can imagine and explore, such as a Middle East confederation. Kathy and Bill Christison: A discussion of how U.S. support for Israel enables Israel's continued occupation of Palestinian territory and its oppression of the Palestinian people, with details on the cantonization of Palestinian territory through the Separation Wall, Israeli settlements, checkpoints, Israeli-only roads, and Israeli military controls. The Goldstone Report: War Crimes and the U.S. Those places where international law has been violated are where civil society has broken down. Tom has investigated those places on the ground in the Gaza, and will look at the Goldstone Report on the basis of his own experience. US complicity in the crimes will be examined. 1. How do we get more & better coverage into the media? 2. How do we make such coverage more accessible to the average American? 3. How does the collapse of print media alter the landscape for coverage? 4. Where do people get their coverage of the conflict? 6. What political issues should be covered that aren't being covered? With the recent Supreme Court ruling opening the floodgates for unlimited corporate money influencing our elections, the corporate takeover or our democracy is now complete. This ruling by the very same 5 fascist Supreme Court justices who overturned the 2000 election ushering in 8 years of ‘W', not only overrules a hundred years of legal precedent but also destroys “ strong state constitutional provisions prohibiting corporate influence ”. Commentators have been comparing this ruling to the awful Dred Scott decision which declared people to be property and have asserted that this ruling now makes it clear that property is persons. Better informed people trace the root of the problem back to the Santa Clara Co. v Southern Pacific Railroad decision of 1886 whereby corporations first asserted their certificate of personhood. In this video, Thom Hartmann lays it all out: How this Supreme Court decision in fact never found any such thing and how corporate usurpation of human rights was stolen. And why the time has never been better to get moving on the process of revoking the legal fiction of Corporate Personhood once and for all. I hear rumors that Thom will be coming out with an updated edition of Unequal Protection in the near future. We look forward to seeing him back here in Seattle to address this subject again. This talk was recorded at Elliott Bay Books October 5th 2002. Giant Corporations not only use their unlimited resources to subvert the public will by buying our elected officials, but to corrupt and subvert activist movements and nongovernmental organizations as well. PR Watch founder John Stauber gave this talk to the Twentieth National Pesticide Forum on April 27th 2002 at Bastyr University in Kenmore Washington . “Radicals” are the ones who usually have a personal or principled stake in the issues at hand and most generally are the instigators of the movement. This designation does not necessarily connote a political orientation. They are “radical” in the sense that they are attacking the root of the problem. The “radical” in question may be a Republican grandmother living in a trailer out in the countryside who is suffering the effects of aerial bombardment from 2-4D, now dying of cancer and whose children and grandchildren are all sick. They want an absolute end to the spraying of toxic chemicals and a genuine redress of their grievances. These people are unlikely to accept compromises that amount to non solution solutions. “Idealists” are the ones who come to the support of the people who have been victimized. They may include rank and file members of large non governmental or other organizations committed to social progress as opposed to personal gain for themselves or their organizations. “Rationalists” are the ones, usually leaders of large nongovernmental organizations whose main interest is organization building, PR, and or fundraising. They are most willing to sell out their principles by negotiating “win, win” compromises that make their organizations and the corporations in question look good. They gain lots of corporate funding in exchange for “solutions” that don't threaten the corporate bottom line or make fundamental changes that may actually get to the root of the problems at hand. This is essential knowledge for anyone attempting any kind of reform which in our day would necessarily involve challenging some sort of corporate privilege. For instance, a direct analogy could be applied to what would likely happen if a grassroots attempt were made to take over from corporate control of the Democratic Party. John Stauber outlines how most large main stream environmental organizations have been compromised in this way and calls for a return to grassroots organizing. Above the Law (1) Juanita Young; Nicholas Heyward Sr.
Shane Harris: Who's Watching You Now? Americas & US policy Lat. Amer. Jeremy Smith: A Hacker Called "Alien"
Beverly Tatum: Why Are All the Black Kids Sitting Together in the Cafeteria? Pratap Chatterjee and Khalil: Who’s Watching Us? Terry Jastrow: What If Bush Was Tried for War Crimes? Hanna Brooks Olsen: Why Do We Vote The Way We Do? Thomas Frank: What Ever Happened to the Party of the People? Dave Goulson: What's Happening to the Bees? The High Stakes Testing Scam and How You Can "Opt-Out"
Hospital Mergers - How Will They Affect Your Care? 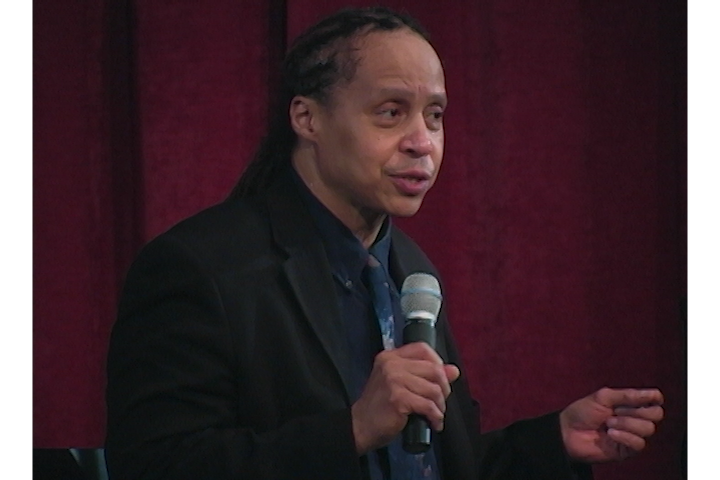 Jelani Brown & Lem Howell: Fight for Your Rights in 2015! Public Meeting: From Ferguson to Staten Island, the Whole System is Guilty! Kshama Sawant and Charles Mudede: Why Socialism, Why Now? Arun Gupta: Is This What Democracy Looks Like? Carbon & Nuclear Free in 30 years! Dr. Zoltan Grossman: New U.S. Military Bases: Side Effects or Causes of War? Katherine Davies and Thomas Linzey: Who Has the Right? John de Graaf and David Batker: What’s the Economy For, Anyway? Malalai Joya: US Out of Afghanistan Now! Norman Myers: Population Breakdown or Breakthrough? Dan Imhoff: Why the Farm Bill matters and what we can do about it!